CARDINALL A.W. 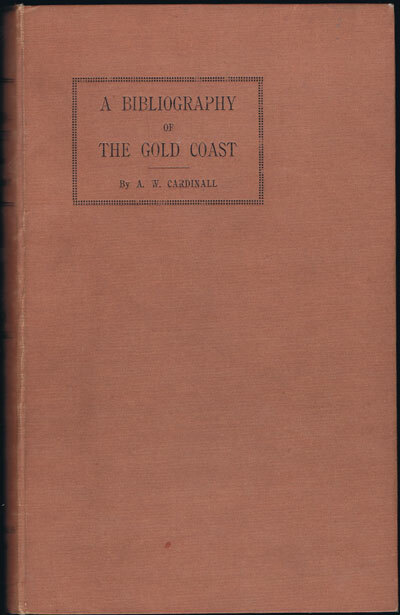 A bibliography of the Gold Coast. 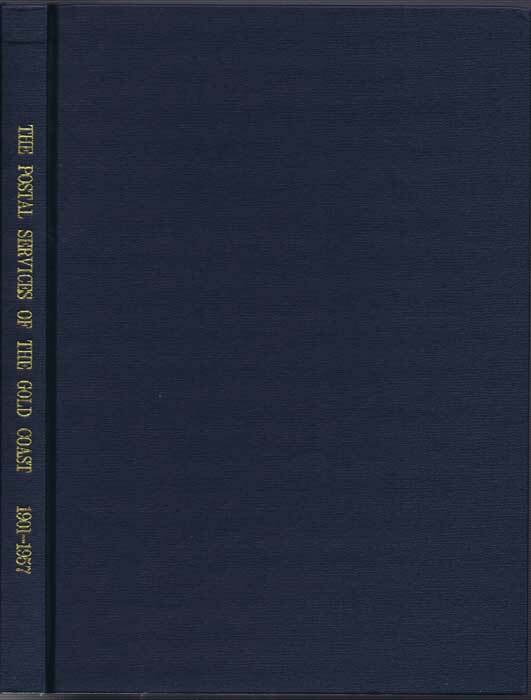 - Issued as a companion volume to the census report of 1931.
xix + 384pp. 1st ed., 8vo. Occasional light tone spotting, still fine in fine orig. cloth. 480pp. 4th ed., fine in worn original full calf. 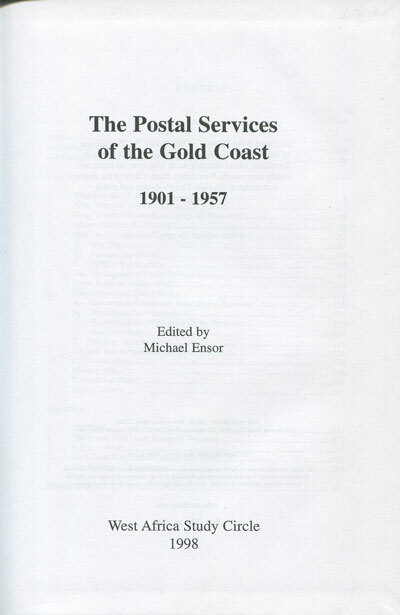 ENSOR Michael The Postal Services of the Gold Coast 1901-1957. W. Africa S.C. 1998 x + 225 large pp. 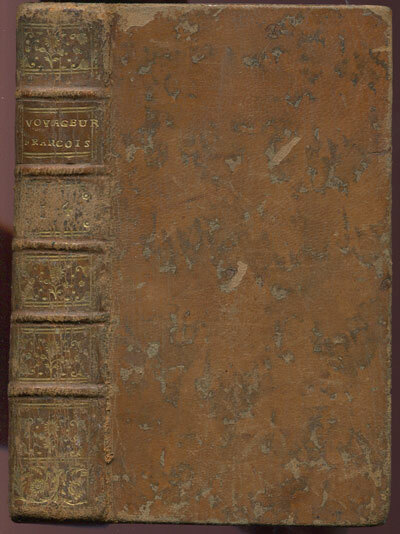 1st ed., very fine in original blue cloth. 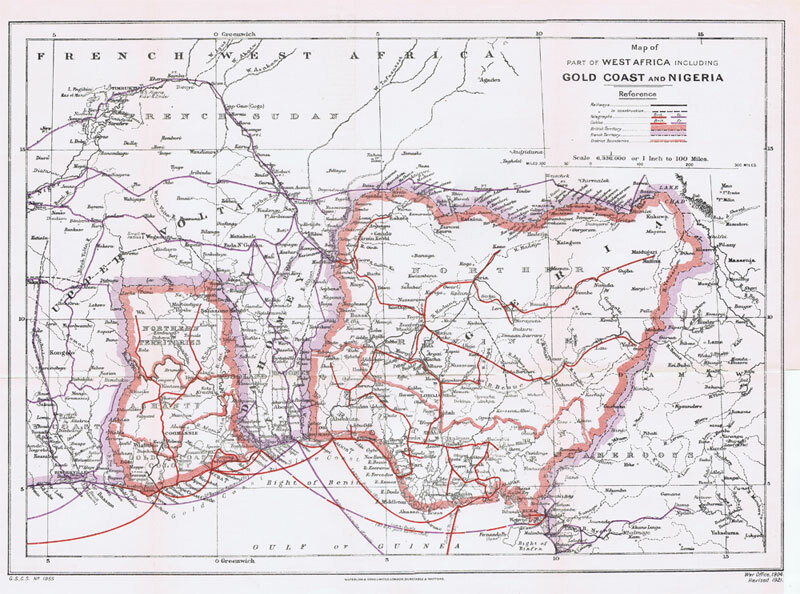 WATERLOW & SONS Map of part of West Africa including Gold Coast and Nigeria Waterlow & sons, London. 1921 Map showing railways and those under construction, telegraphs, cables and boundaries. 1921 revision. 16 x 12". 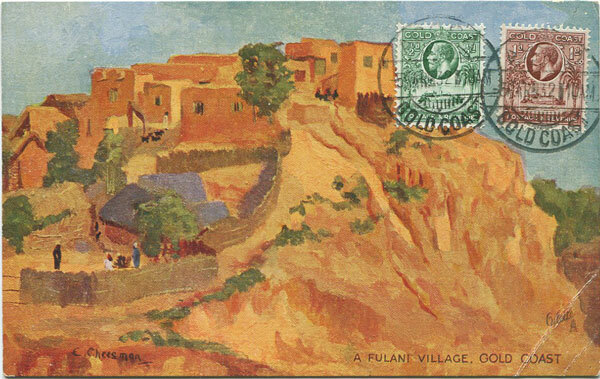 RAPHAEL TUCK & SONS A Fulani village, Gold Coast. Old Gold Coast postcard used in 1932 to Italy. Small corner crease. 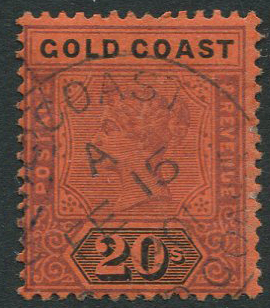 1889-94 Gold Coast 20s dull mauve and black/red (SG25), v.f.u.